06-01 To import media into an External storage location, you have to set up your Library before you open the Import Window. You used to be able to choose a new external location for your media in the Import dialog window. Select your Library in the Browser and open the Inspector if it isn't already open. 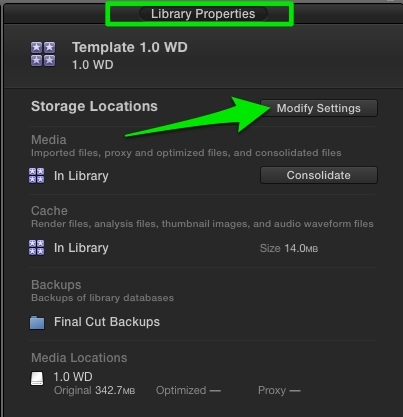 In the Library Properties > Storage Locations click "Modify Settings". Now when you import media, you have the option of storing it in your external storage location. once you quit Final Cut Pro X 10.1.2. Right click on your Cache file and choose "Show Package Contents" to get to your YouTube shared file. Your YouTube video file is stored in your Cache location in the "Shared Items" folder. 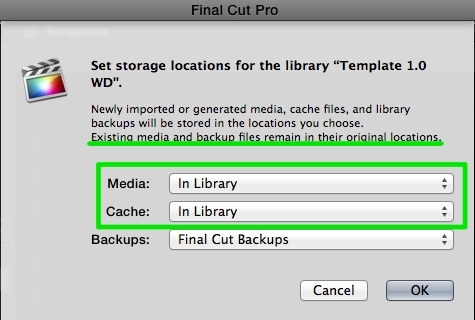 This is a change from previous versions when FCPX never deleted external media. Since I always reuse my YouTube shared file for Vimeo and Dropbox, this change is not welcome. I prefer not to make another copy of my perfectly good shared YouTube file. 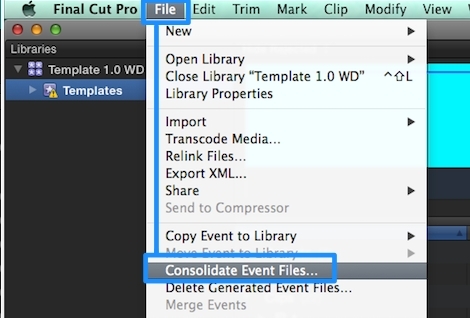 The workaround is to make a copy of the shared file as soon as it is transcoded and exported and before quitting FCPX. 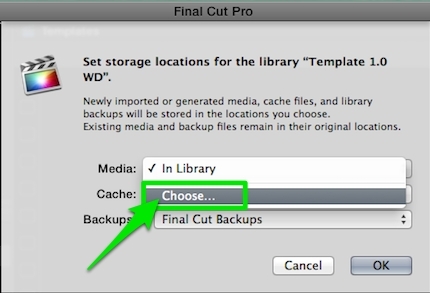 Then you will have the video file for reuse outside of the clutches of FCPX. 06-03 When you Consolidate media out of a Library to an external folder, the media is moved. When you Consolidate into a Library or from external folder to external folder, the media is copied. 06-04 Choose to view and import either Videos, Photos or All Clips in the Import window drop down menu. 06-05 There are a lot of new effects, generators and titles in the Effects browser. Someone's been busy designing Motion templates for FCPX but these weren't mentioned by Apple in the 10.1.2 release notes. 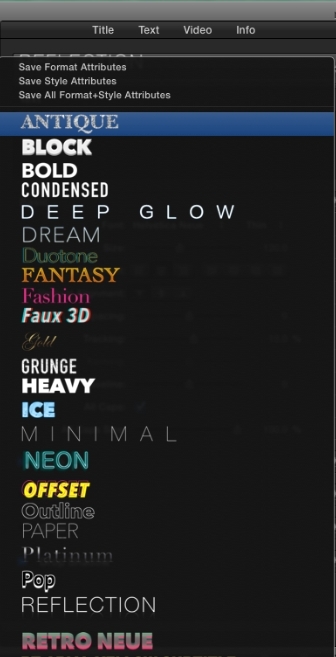 And there are new Text Styles as well. by holding down the Option + Command keys when launching FCPX. 06-07 The Nudge command now slides your timeline clip selection. 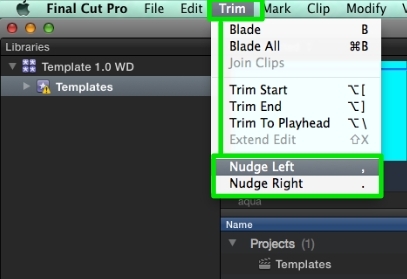 If you want to slip your clip instead, select the clip with the Trim tool (T key). If you want to slide your clip and leave a gap, select the clip with the Position tool (P key). In any case, pressing the < or > keys will slide or slip your clip one frame at a time. If you have a specific frame that you want to slip or slide to, target that frame with a marker before you start nudging. but you can save a copy in the browser for reuse by selecting the item, right clicking and choosing "New Compound Clip" or press Option-G. You will be prompted for a name and the item will be saved in your browser inside of a compound clip. You could, for example, save clips with customized effects and transitions. You could also save generators and titles. 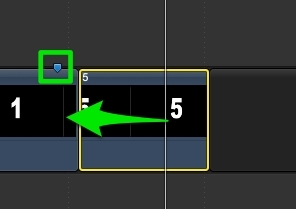 I usually "Break Apart Clip Items" with the keyboard shortcut Shift + Command + G for the compound clip created in the timeline. 06-09 I've suggested an option that Voice Overs could be assembled into an Audition for the last few years. 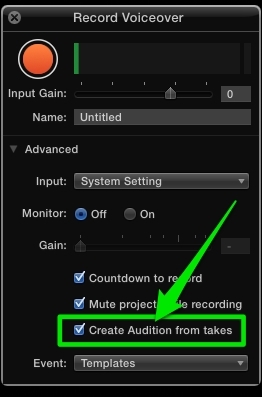 In FCPX 10.1.2, Apple finally implemented this feature. 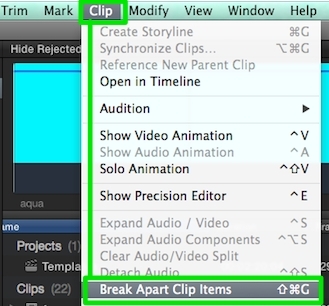 Once you make a VO Audition, if you want you can select it and break it into individual stacked audio clips with "Break Apart Clip Items" from the Clip menu or with the keyboard shortcut Shift + Command + G.
by placing the Library file inside of your master project folder along with your external media. That way everything is in one folder for easy transfers, drag and drop copying to another drive, archiving, etc.